I don’t often drink grand crus but this one came as a good deal from Wine Library. For $20 I think I got a good bargain. This was a very nice wine. 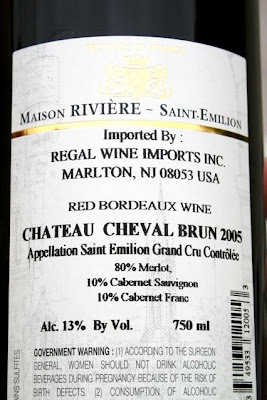 As you can see from the back label, it is composed of 80% merlot, 10% cabernet sauvignon, and 10% cabernet franc; a classical Bordeaux blend if I’ve ever seen one. First of all I was blown away by the color. You can see below it was a deep, rich, dark, purple/red color. You definitely could not see through it. On the nose I was presented with earthy musty notes mingling with ripe red cherries. 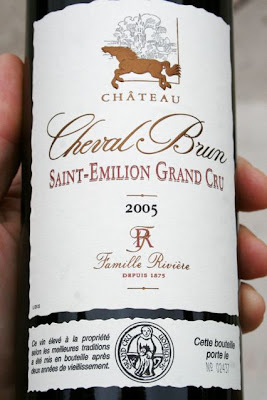 Solid tannins, big fruit and hints of smoke greeted you on the palate. It also had a slight greenness to it. 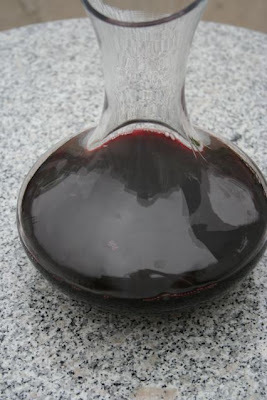 After a couple hours in the decanter the wine opened up beautifully. Here is a cocktail you can do with this wine, and For creating the best cocktails as home, see Mixstik. The character of this distinctive Ethiopian coffee comes through divinely in this finely wrought sweet citrus cocktail.